Je trouve cela sympathique, surtout quand on ne veut pas se prendre la tête à choisir quelles épices mettre. J'avais déjà goûté du sel au piment d'Espelette. You are so right, the beautiful crystals create magic with any dish, especially with tomatoe salad or with fish or some thick beef steak or filet, if you pan-fry them, sprinkling some sea salt on them, they get crispy outside but so nice and soft inside! Have a lovely day Rosa. Love this post Rosa! I want to write each and every combination down because I often forget "what goes with what." Thank you so much for sharing all the wonderful resources too! A beautiful write up, so much information about the simple salt, wow. Interesting herbs combo, bookmarked. C'est fort agréable à lire tout ça. J'ai toujours quelques mini pots de sels parfumés. C'est un peu la musique de fond de l'été. Bien sûr ils ont leur place en hiver aussi, mais en été ça a une place bie spéciale dans les plats. Wonderful post, so informative! I love salt, usually stick to Malton flakes to finish my salads and stuff, but lately I've been playing with smoked salts, they are awesome! What could be better than great seasoned salt! Images are beautiful, Rosa!! Je crois que je vais également m'imprimer qui va avec qui, parce que c'est l'anarchie par ici ! Merci pour ce chouette billet, j'aime bien recevoir ce genre de cadeau, ça vaut bien des fleurs pour moi. Never made flavorful salt! I have go look for some of stuffs you mentioned here ..
Oh my Rosa - I think you just gave me a slew of ideas for homemade gifts! Grazie! Rosa, this is a great Idea! I am going to try a few. Thanks for sharing it. Hi Rosa, Great ideas to spice up our salt, I specially like dried mushrooms blended with salt. I need to try citrus salt. Your music is beautiful, thanks for the treat!! Fantastic ideas Rosa. Love those salt with spices, they are pretty handy for sure. You are so right. Flavored salts are very expensive to purchase. I used to make my own house blend, but haven't in years. You've given me inspiration to do so and also to try some new flavors as well. Una fantástica idea Rosa me encanta la utilizaré a menudo ,abrazos y gracias por tus consejos. What a wonderful idea. I love the blends. That would a great thing to rub on fish or chicken. So flavorful! Love the second shot. A great resource for salts. Excellent compilation. All the photos are excellent as always but the 2nd one is my favorite! Just gorgeous and what a great gift idea too!! I have no idea there is so many different types of salt :) Wow, all I have at home is normal salt, garlic salt and sea salt. This is a great post, that I will bookmark to refer to later on; I had purchased Himalayan pink salts from Au Bon Marché in Paris at least 10 years ago and never used them! Plus, I always believed that no matter what salt it was, it was going to be bad healthwise. Thanks for opening my eyes Rosa. A fantastic idea and and great ways to use it. Quelle bonne idée de faire un billet sur les sels aromatisés! Je vais certainement faire quelques test dans les prochaines semaines, tu m'as inspiré Rosa! Très intéressant cet article. Une bonne idée pour faire des cadeaux de fin d'année. Par contre, ce n'est pas pour moi, car je limite ma consommation de sel depuis longtemps. Donc, un peu plus d'herbes et beaucoup moins, voire pas de sel du tout. I have never made flavoured salt before...sounds really interesting. Wonderful post! I cannot imagine eating bland food, either. 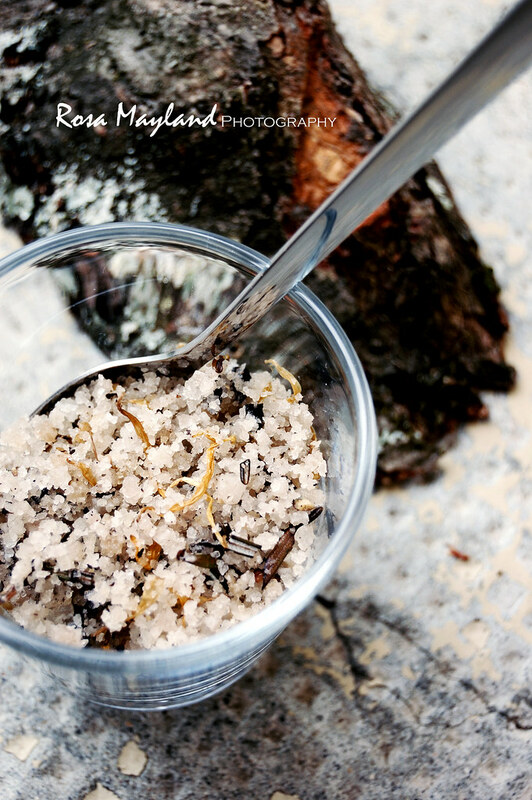 These beautiful homemade salt blends would make great holiday gifts, too. More simply wonderful photo's Rosa - thank you. Salt is a magic ingredient on food and not to be underestimated. I moved away from using it for many years because of health warnings, but have returned it to our diets over the last 5 or so years with a renewed appreciation for the difference it makes. Lovely Rosa, perfect for Christmas gifts. Excellente idée Rosa. C'est sympa comme cadeaux. First of all, your photos are absolutely gorgeous!! You have made me want to dive into those salts; they are like jewels. Beautiful. And what a great post, Rosa!. I have bought flavored and spiced salts from a friend's family who produces salt and sells small sachet of salt mixes but I am thrilled that thanks to you I can make them now myself! I love using them and giving them as gifts. SO beautiful! I love flavored salts, and need to revamp my selection of them ASAP! Pretty please post to Punk Domestics? My auntie gave me some salt infused with chilli and five spice and I love it. Really inspiring post from you - I feel like there's no end of possibilities. Loads of flavour ideas I hadn't even thought of! Excellente idée que ces sels aromatisés. Je ne me suis pas encore lancé dans la fabrication maison, mais ton post est une véritable invitation ! Great post Rosa .. flavored salt make so much difference but we often forget to dress this vital ingredient. This also make the dish simple yet delicious. Great info thanks for all the resources! I love flavored salts! I recently purchased some at my local farmer's market and will be using them on the grill. Your photography is beautiful! 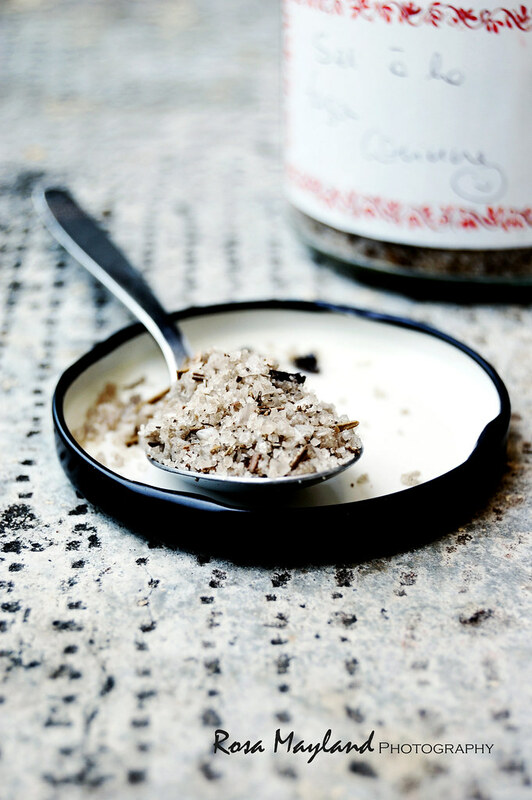 Rosa - I've made herb salts, but never using those large grain salts like your photos show. Speaking of which, your photos are always top notch. I loved reading about them, though. I have several of them already. I am with you Rosa. High quality flavored salts add so much to a recipe. The seaweed & dandelion is so unique! It's amazing how little we really know about "nutrition" isn't it? So much of what was once thought to be correct now turns out to be wrong. Another food myth that bit the dust not that long ago is that eggs are bad for you. The latest research doesn't support that at all. Anyway, I can't live without salt either! But I've never made flavored salt. You've inspired me! I have to give this a try. Thanks. A fantastic post and the photos are exceptionally stunning! I don't eat a lot of salt, but it has to have some. I got some pink Himalyan salt the other day and don't know at to do with it, I got some ides now! Thanks. Beautiful photos too. This is a super gift Idea too! Great post Rosa!! And your pictures, I can never seem to get over how beautiful they are!! Love those rough textures. And such savory madness. Seasoned salt is great and your post is informative. Salt is definitely what brings out the flavor in food and I have to try making one. Thanks! This post is very helpful to make our own flavored salt and it was fun to read all kinds of varieties! I love seaweed and rosemary flavor! 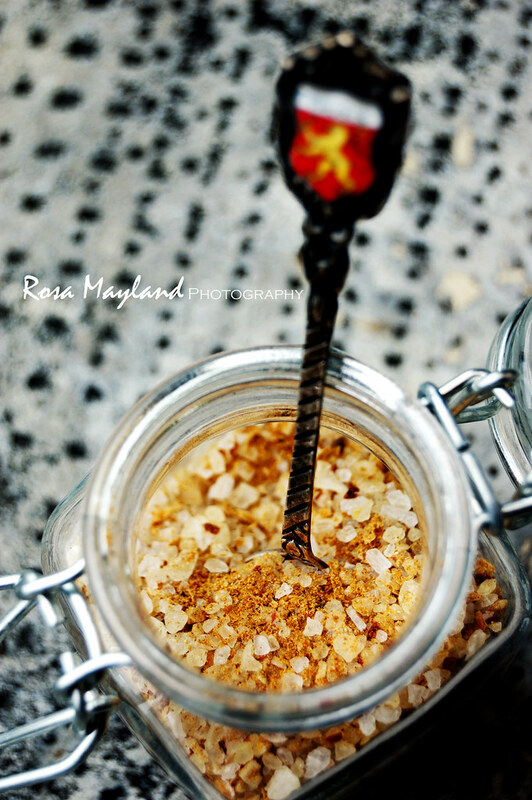 Your flavoured salts look amazing Rosa! I agree with you totally, I'm addicted to salt and seasonings too. They have such a profound effect on a dish. And your flavoured salts look so pretty too. I love salt and the way it enhances food. This is a great resource Rosa. Thank you for sharing it with us. thanks for the information. i am glad to read it. nice post. 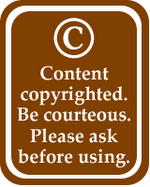 Thank you for this useful post!Kisses,dear! Thank you for such a detailed post. I love the flavour combinations in your photos! These would make such a lovely edible gift too. I'm often tempted by the gourmet flavoured salts. But it's always the crazy unreasonable prices that prevent me. While I don't mind spending money on a quality product somethings are just crazy. Anyways, thanks so much for this post and all the ideas. I'll definitely be giving this a try. I'm a big fan of sea salts and seem to accidentally collect them! I love the idea of mixing dried mushrooms with salt. I have to try making that! Rosa - Hello from Minnesota this time. We've finally arrived in the States after two weeks of traveling. Your post on flavored salt is absolutely brilliant! When we were in Iceland, we came across some interesting combination of salts at some specialty stores. They do incredible magic to bring out the flavors of foods. Imagine how thrilled I was when I saw the title of your post. It makes sense to experiment them at home. Useful information and gorgeous pictures as always. Love this post! Great post! I'm just recently realizing how much a difference salt makes in a dish. Such a great idea! I have probably 5 kinds of salt but I've never thought to flavor them. I adore flavored salts, yet have never made my own. Now I will. Rosa, this is a wonderfully informative post! Bookmarked for further reference! 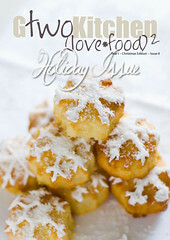 What a fabulous idea to use flavored salts! I bet these would be as good sprinkled over salads as they would with desserts. Thanks for sharing and inspiring, Rosa! Such a good idea to make your own salt. The colours in the pics are stunning. You've got me thinking about all those flavours now. I adore flavoring salts, but mine never looks as gorgeous as yours do! Thank you so much for all the info on the ratios and such. Not only are they extra-tasty additions to our meals, but I bet yours look so beautiful lined up on a kitchen shelf or spice rack! Going to try the dandelion - seaweed combo! I enjoyed this post and will be making a few flavored salts with herbs from my garden. Last fall when we were in Europe, one of the hotels gave me a thank you gift of a lavender salt and each time I use it I think of our stay. I love flavoured salt. It's great to use in cooking. I'd love to make flavoured salt like you did! Rosa, it's good to see your site again and to know that it's as beautiful as ever. I'm slowly making my rounds to see all my old friends. Now that i'm working on my website again. I just love the black and white photos of the countryside. Beautiful! These herbed salts seem to be all the rage these days. They really do add a lot of flavor to a dish. C'est tres beau Rosa, ces photos de sel epice. Bravo a Corinne au passage, chouette recette. Je n'utilise que du sel gris de Guerande maintenant, pour des raisons de gout essentiellement. Et j'essaie de ne pas trop en mettre. Finalement ces campagnes ont ete benefiques sur notre consommation de sel. Yours are looking so nice. I don't use them a lot. I should because it change the taste of a dish. i'm a salt FIEND, but the only flavored version i've had is chocolate. i would go wild with all these varieties! Love this post! Gorgeous photos. I've always thought a good pinch of fleur de sel makes everything better! Je n'achète jamais ce genre de sel. Je le fais, comme toi. Une bonne manière de recycler les gousses de vanille (poulet, poissons...) :) Les photos sont très jolies, comme toujours d'ailleurs! I love flavoured salts and your post is so interesting and rich in information!! Thanks for sharing and being so helpful. I've never used or made flavoured salts before but your post has made me inspired! Definitely going to give one a go soon. Lovely post Rosa. I always say "there is never enough salt". Belle idée tous ces sels aromatisés, j'aime beaucoup ! LOL - in my house I am known as the salt queen as I love to salt EVERYTHING! But as you say, these days this is like saying I like crack cocaine! But if your blood pressure is normal to low, and your body is calling out for salt, then there really is not a lot of harm to be done... In fact, too little salt in the diet also causes problems, like muscle cramps. 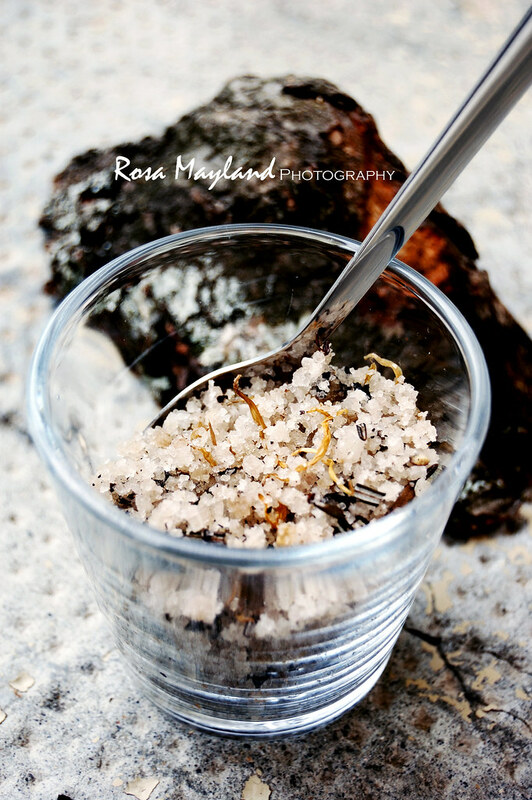 love flavoured sea salts and especially smoked salt - your pics are gorgeous!